Dana G. Hackett of Forestdale died February 16 at the age of 66 after a long battle with lung cancer. William Joseph Buckley Jr., 77, of Falmouth died February 19 at his home. He was a Town Meeting member for 25 years and enjoyed town politics. Richard John Schwartz, 69, of Falmouth died February 15. Of Framingham, on February 23, 2018. Beloved wife. mother, grandmother, aunt and friend, who will be dearly missed. She will be remembered as a kind, caring woman with a sense of humor, who always considered other’s needs before her own. 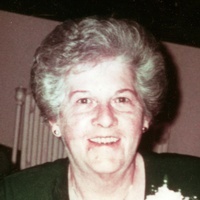 Ann E. (Moynihan) Wall, 86, died February 17 at her home in Falmouth. Carole M. Ruggiero, 74, of Mashpee died at home on February 18. Henry Earl Goodnow Jr., 70, of Bourne died February 16. Adam James McCarthy, 23, of Boston, a former resident of Buzzards Bay, died February 16. 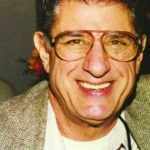 Dr. Russell A. Ferrigno, 84, of Mashpee died on February 16. He earned his doctor of dental surgery from Georgetown University School of Dentistry. Allan Bruce Head of Raleigh, North Carolina, who leaves a brother in North Falmouth, died February 17 after a three-year battle with cancer. He was 73. Anne M. (Green) Tavares, 88, of Falmouth died February 19. Robert Henry Leavens of Falmouth died February 19 at the age of 92. Irene Alfa (Minzer) Baldic of East Falmouth died on February 20 at the Royal Falmouth Nursing & Rehabilitation Center. She was 79. Lieutenant Colonel Ralph P. McGrath Jr., 70, of East Falmouth died February 17 at Falmouth Hospital of heart failure after months of ill health. He received numerous awards, recognitions and decorations throughout his 42 years of service. Mildred Louise Knight Lisk, 97, of Falmouth died February 13 at home. Ronald H. Armstrong of Hopkinton and Falmouth died February 18. He was 72. Harry Arthur Silva of East Falmouth, who had served as the town plumbing and gas inspector until his retirement, died February 22 at the age of 88. William J. Beardsley of Mashpee, an avid outdoorsman who had once covered fishing for local print and broadcast media, died February 21 at the age of 85. He was a resident of the Southport community. Napoleon McCall Jr., 61, of Teaticket died on February 19. He was known as Mac.